Come help clean up the gardens for winter! ≈ Comments Off on Come help clean up the gardens for winter! Many hands make light work. If you are interested in, have participated with the gardens or just like being outside, come help clean up to get them ready for next season. 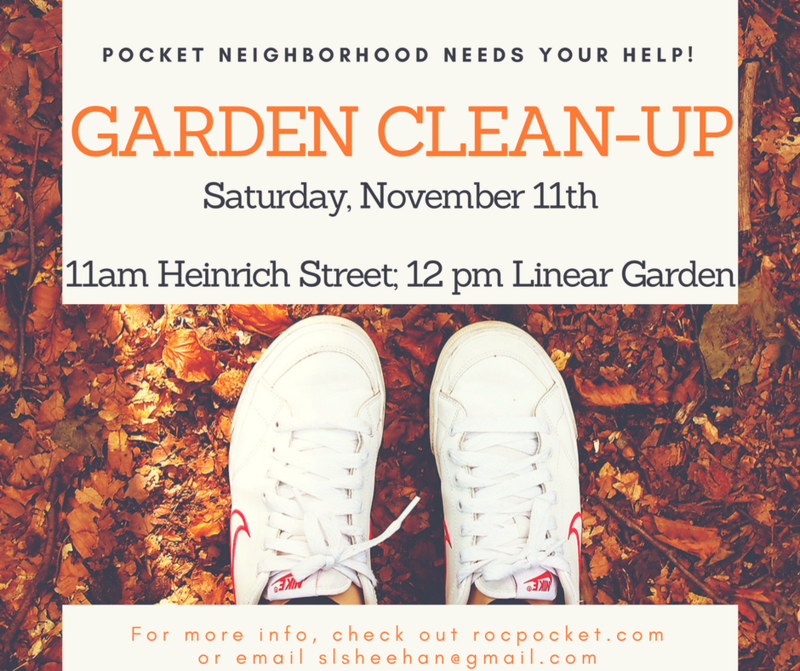 Meet at the Heinrich Street garden at 11:00 AM and Linear Garden on Mayfield Street at 12:00 noon. ≈ Comments Off on Cobbleween!! Need another interesting stop to make on Halloween? 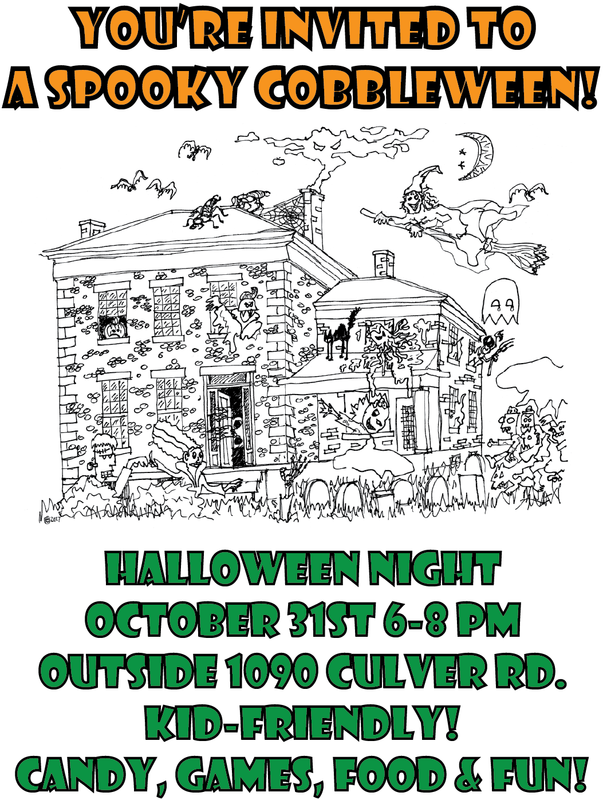 Check out Cobbleween, a fund raiser outside the cobblestone house on Culver Road. ≈ Comments Off on Meeting: Change of Date!! 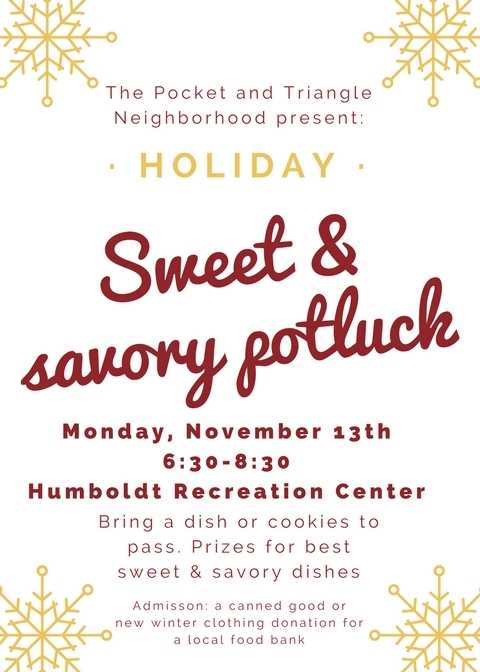 Don’t come to the Pocket meeting on Monday, instead we’ll meet on Tuesday, October 10th because the Rec center will be closed for Columbus Day. Join us at 7:00 to hear the latest in the Pocket.